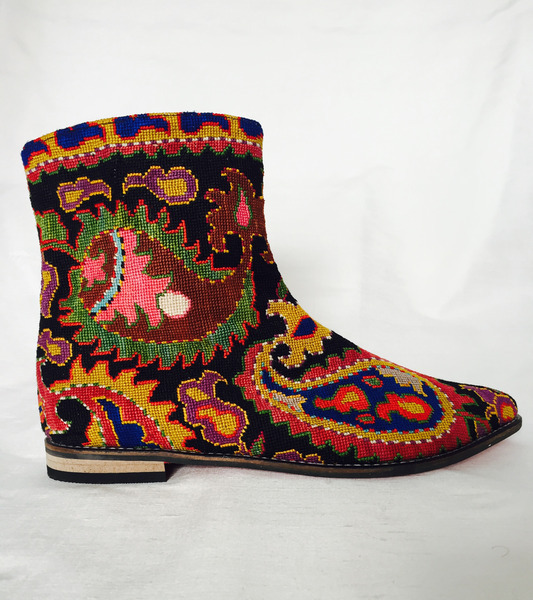 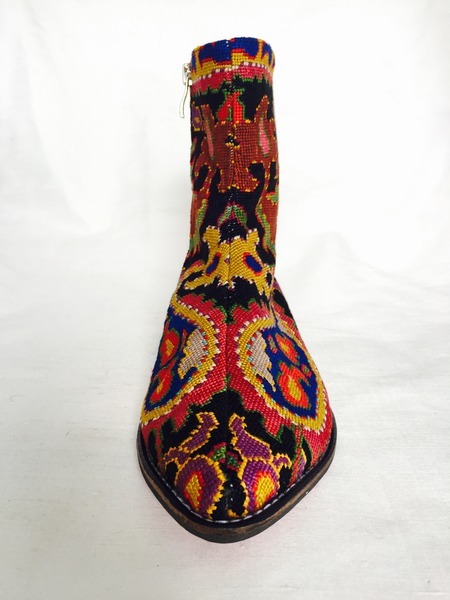 Short Silk Petit Point Boots from Uzbekistan with leather lining. 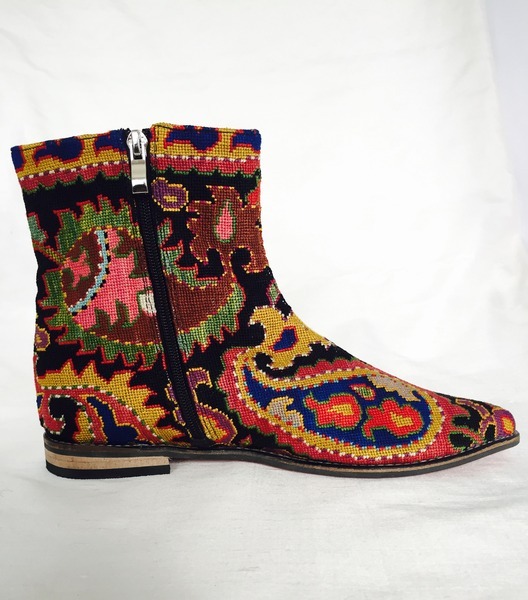 These boots are created from hand drawn designs on cotton canvas, inspired by original designs from ancient Uzbekistan textile history. 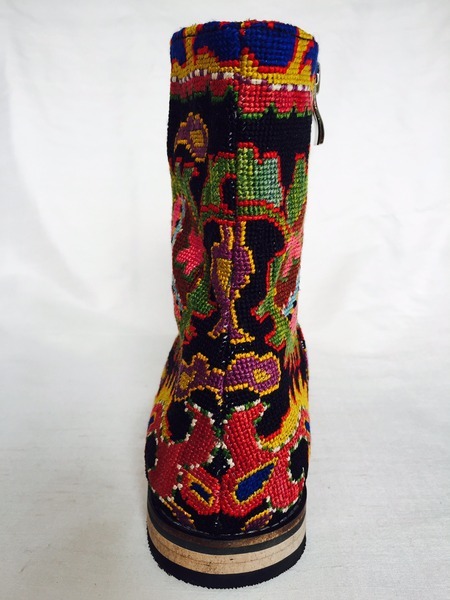 Height measures 7" with a 3/4" heel.